Coots are a confidence builder. On numerous occasions we’ve had coots move in and sit among our decoys and it never fails, within minutes other ducks feel confident and fly in. And, late in the season most ducks have been shot at so many times they’re leary of the typical mallard spread. 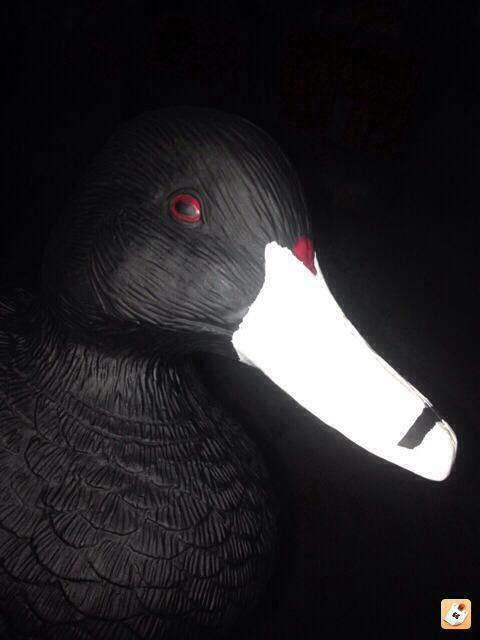 Along with coots I like to use decoys most other hunter never use, such as shovelers, gadwalls, pin tails and so on. Those, plus a mallard hen creates a spread ducks can’t resist, especially widgeon. Widgeon love coots! Don’t ask me why. 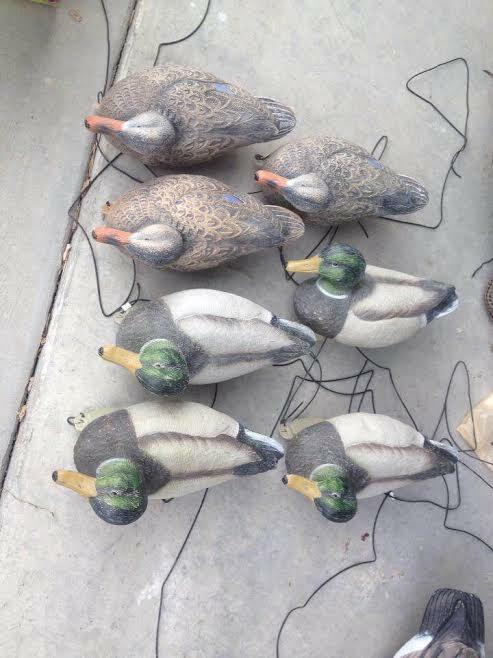 So, my husband and I decided to turn our old Final Approach mallards into coots. First, use a piece of sand paper or a wire brush to get rid of any dirt or debris. This also makes them rough enough for the paint to stick. Then, paint them with a flat black spray paint and let them dry. It may take a few coats to make it stick and stay. After that was done we put a small piece of masking tape across the front of the bill so a small section remains black. Then we painted the bill with a vanilla color. 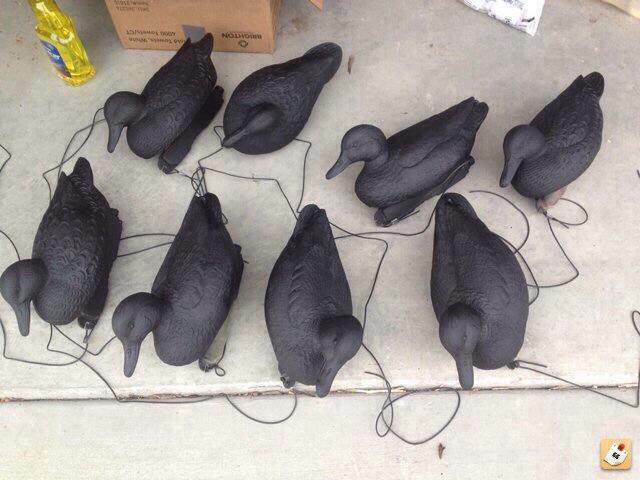 After a few coats on the bill they really started to look like coots. But, we weren’t done just yet. Taking a red paint we added color to the center of the eyes and then a small patch at the top of the bill where it meets the front of its head. Finally, add a couple of clear coats of flat spray. And, voila! 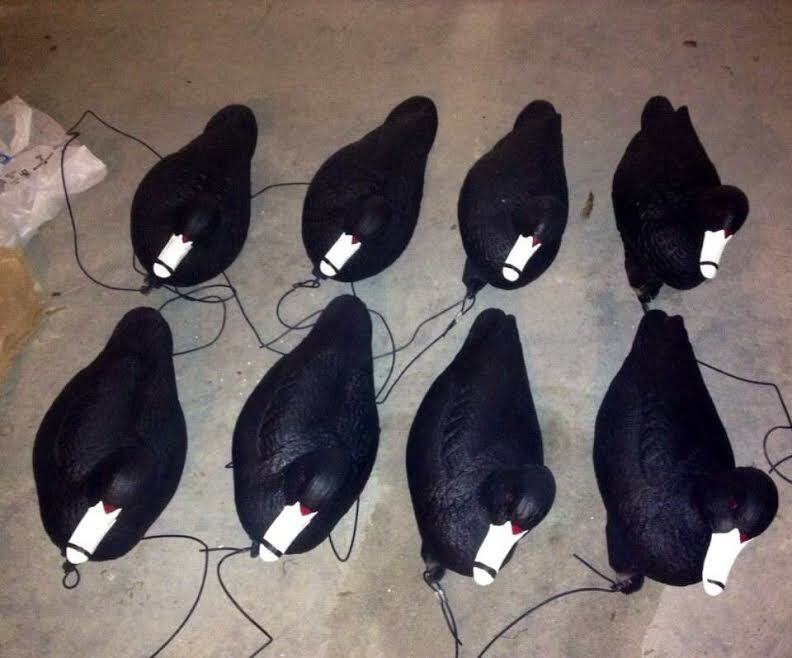 You have an inexpensive coot spread that doesn’t look like other hunters and will surely give ducks the confidence needed to decoy in. Happy hunting! And, let me know if you have any luck.